The 2017 NAB Show will be remembered as the show where IP came of age in the broadcast industry. For the past 12 months, the industry has been talking about, testing it, tweaking it … and now we’re on the brink of launching it. 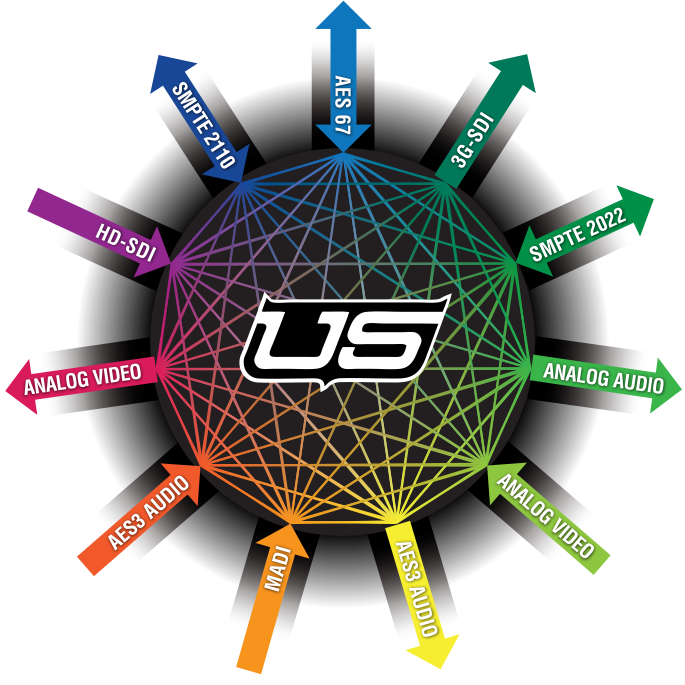 Two of the most significant events of the year are the work of AIMS in getting the industry to coalesce around open standards for the IP transition, and refinement of the SMPTE ST-2110 standard, which is now in final stages of ratification. At the show you’re already seeing many product from AIMS members, including Utah Scientific, that meet the SMPTE ST-2110 spec. There is a sea change upon us, and Utah is here to help you navigate through it. With all the buzz surrounding studio video over IP and the next-generation SMPTE ST-2110 standard, there’s still the reality of everyday SDI workflows. Utah Scientific’s new 400 Series 3 platform is the perfect choice for high-density SDI coupled with the ability to create high-density IP signals from the same central frame. Backed by our renowned support and legendary reliability, the 400 Series 3 can handle any number of IP and SDI professional video signal formats along with a number of audio and data formats. Engineered by Pixel Power, CiaB 400 is perfect for driving automated playout of graphics, complete channels, or everything in between. CiaB 400 goes beyond traditional channel-in-a-box solutions to power enterprise-standard, scalable transmission automation. Designed for hybrid environments, CiaB 400 handles every signal format from SDI to IP to 4K for delivery to web, mobile, and IPTV platforms as well as fille-based outputs.